Wedding day fashion matters just as much for men as it does for women – whether they’ll admit it or not. It can sometimes feel like dragging around a bag of bricks, but your groom and groomsmen need to look great too. Accessories are a tried-and-true way to breathe life into men’s fashion, especially if the men of your wedding refuse to budge on the traditional black tux. Here’s a look at some of the best accessories to finish your man’s look along with some important reminders for dos and don’ts. 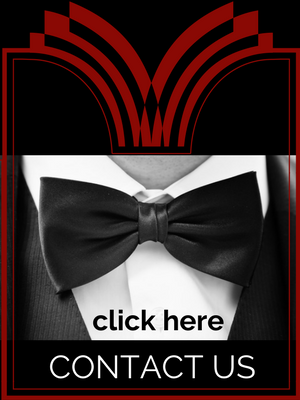 Your groom has a few choices in the neckwear department; tie, bow tie, or none at all. The tie is a traditionalist’s go-to, and can always look classy. Bow ties are slightly more daring, but still pretty conservative choice with a high success rate. Both come in prints and colors to match any color scheme in the world – or the pickiest men in the world. Pulling off a no-tie look, however, is a daring maneuver. This look works best with a less-traditional color palette or outfit than the typical black tuxedo. Used correctly, however, it can be a bold move. Shoes aren’t so much an accessory as they are a necessity. At the same time, they’re one of the best options for customization for your groom. This is a free space – brown, black and gray are all excellent choices – with the only real option off-limits are plastic shoes. That is unless you want your husband-to-be blistered and aching because of his poor footwear decisions. The sock is usually the only accessory men are willing to experiment with. The printed, goofy sock is a tradition for many weddings. At the same time, however, you should aim for consistency with your groomsmen. Alternating colors, or uniform patterns, can coordinate your groomsmen’s looks like no other accessory. We’re getting into advanced territory here, but the cufflink offers a huge space for personalization – especially for their size. Designs come in a wide variety of styles tailored for individual taste, and your man can bring his outfit to life with the right cufflinks. Make sure you coordinate your cufflink with the other metals in the outfit for maximum consistency! 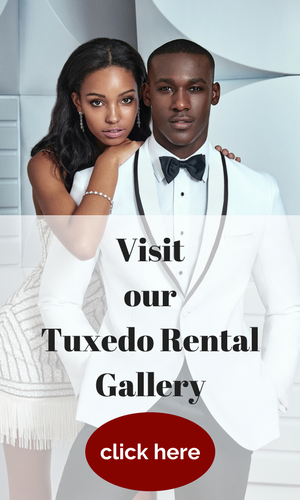 Some fashion critics argue that belts have no place on the tuxedo, but then again, not every groom wears a tux! Whatever your groom is sporting for a suit, choosing the right belt is as much a fashion statement as it is practical necessity. The right leather belt adds a subtle accent to an outfit, without dominating the scene. For those who agree belts have no place on a tuxedo, suspenders are the logical choice. Suspenders may remind you of a 1940s businessman or mob boss, but they’re still a popular option for subtle accent for your groom’s outfit. Color coordination should match the shoes. The classic white pocket square offers a nice contrast to the black tuxedo. 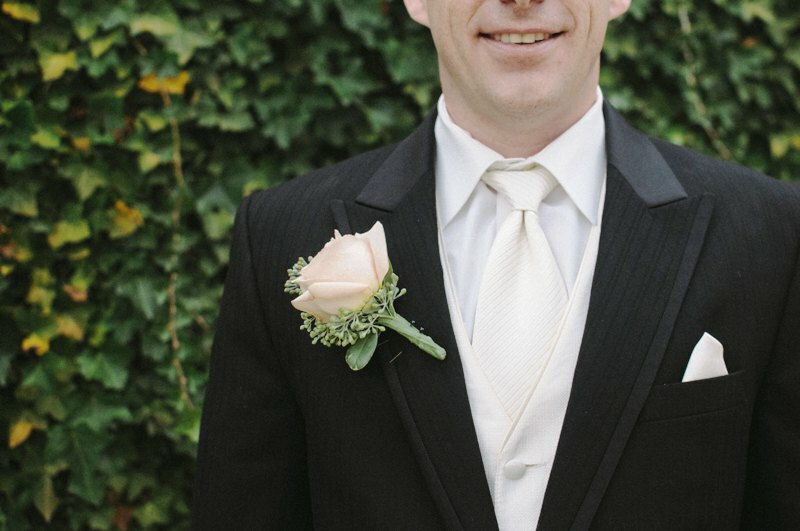 For more adventurous grooms, coordinating pocket squares to other accessories is always an appealing option.